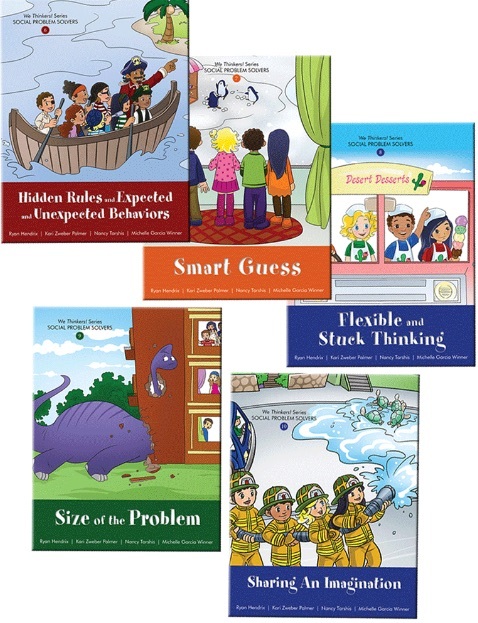 Superflex®: A Superhero Social Thinking Curriculum package. After students have worked through You Are A Social Detective and learned the core Social Thinking vocabulary, they are ready to learn more about self-regulation using our very popular motivational tool Superflex, the superhero in our minds that helps us defeat our social challenges. 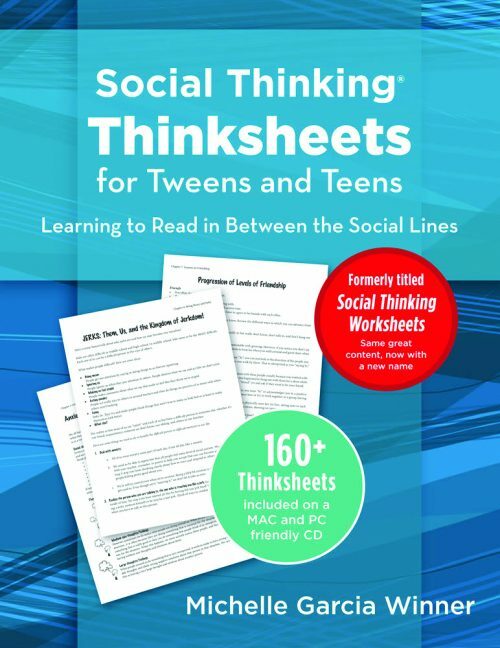 This curriculum teaches students to adapt more effectively across situations and take control of their own thinking to defeat the Unthinkables. The package comes with a curriculum book, a CD attached to the inside cover of the curriculum book containing hand-outs that can be printed out for supporting the teaching of the information in the curriculum and the first Unthinkables comic book, Superflex Takes on Rock Brain. Buying Tip: Before I start teaching Superflex, I always introduce students to the language and concepts explained in You Are A Social Detective. Read this free article. Ages: The curriculum works best with primary school children (grades 2-6) as well as with immature older students who respond to visual books. 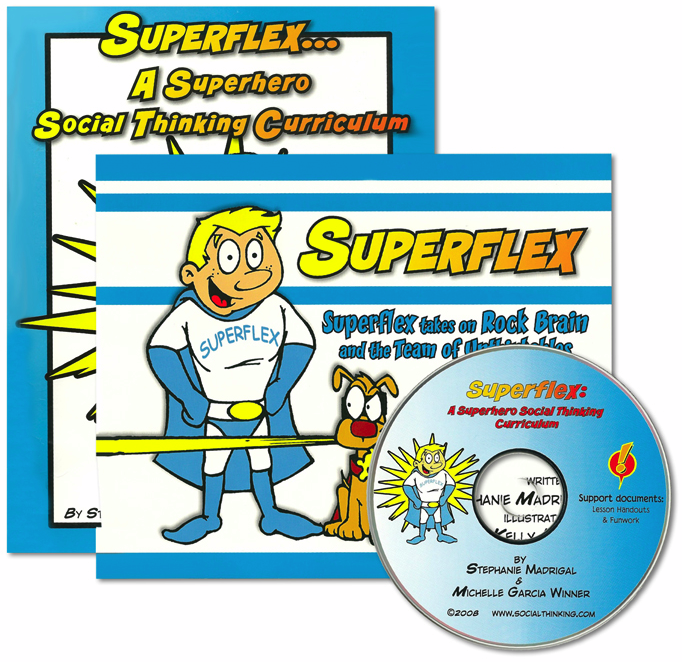 The Superflex curriculum book offers clear lesson plans to help educators, therapists and parents create a personalized Superflex Superhero Training Academy for their students. The students learn how each of them have Superflexible capacities in their brains that can take on this Team of Unthinkables (Rock Brain, Topic Twister Meister, Mean Jean and Glassman to name a few), each embodied in a cartoon character as a different behavior and challenge, accompanied by specific strategies to help subdue them. 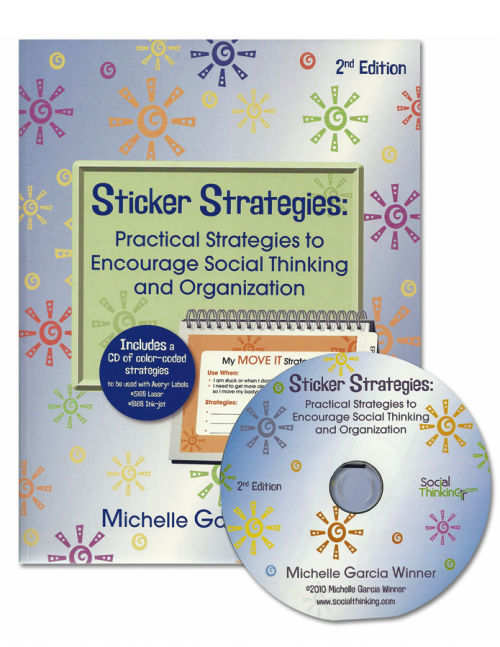 You can even print cards, Superflex award badges and handouts from the book. The CD also provides a convenient way to print handouts and worksheets. The package includes the colourfully illustrated 21-page storybook, Superflex Takes on Rock Brain and the Team of Unthinkables. This book tells the story of how Superflex came to be. The children will enter Superflex’s town, Social Town, and learn about the cast of Unthinkables who are trying to overtake and rid the town of Superflex forever. Superflex and his sidekick dog, Bark, go on their first mission to try to save the citizens of Social Town. Depicting behaviors as comic book characters helps to remove blocks to the student’s awareness of the behaviors, while the superhero Superflex helps build the thinking required to regulate those behaviours. Children with HFA, Asperger’s, ADHD and like challenges have difficulty regulating their own behaviours in the moment. Superflex provides a fun forum in which they can explore their challenges and identify ways to modify their thoughts and related behaviors in different settings. Superflex empowers and motivates students to help themselves–reducing meltdowns and anxiety as the students discover and develop their own inner superhero. Good social skills can be defined as “adapting efficiently in each context,” meaning we have to read the hidden social rules in each social situation and then regulate our physical presence, eyes, language, emotions, reactions. This requires highly flexible thinking. While some children learn to do this somewhat effortlessly, many students, even advanced, so-called normal-thinking students, have challenges in recognizing and applying these concepts needed for social cooperation. 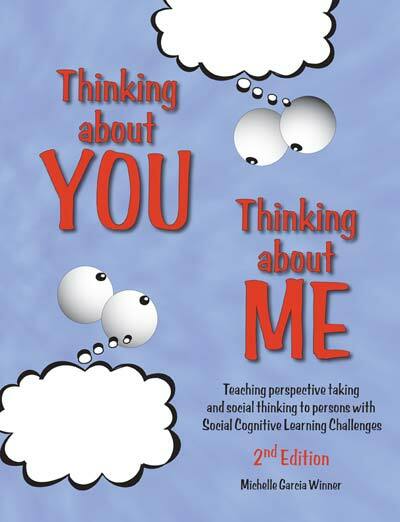 “Social smarts” only occur when students incorporate all this information and regulate their bodies and minds to show he or she can effectively adapt to others across environmental contexts, demonstrating they are considering other people. Students who do not learn this information intuitively, but who function with emerging language-thinking skills, need to be taught these core concepts more explicitly. Superflex and the Team of Unthinkables shows students when they are using their own “social smarts” versus when their brains are getting sidetracked in less positive and social ways, as illustrated in the dominant thinking in the Team of Unthinkables. Kids enjoy being superheroes in training, flexing and building their social thinking and social skills. The concepts of Superflex and the team of Unthinkables are taught across a series of many lessons starting with lessons about how the brain works, how social information is part of the brain, how we change behavior, what our brain is expected to do socially (Superflex) and then the thoughts that challenge our brains from doing our best (the Unthinkables). Each lesson stands on its own… and each lesson can take multiple sessions for the kids to really process and respond to. There is no endpoint for working on these concepts once they are introduced within the 15 or so lessons; the information is then considered, applied and worked on for the rest of time. While the lessons should be taught at a discrete time (20-40 minutes), the application of the lessons is 24/7 in teachable moments. The teacher will want to reinforce how much Superflex is showing up in the kids brains, rather than just talk about when the Unthinkables are lurking about. More on how to teach is explained in the curriculum. 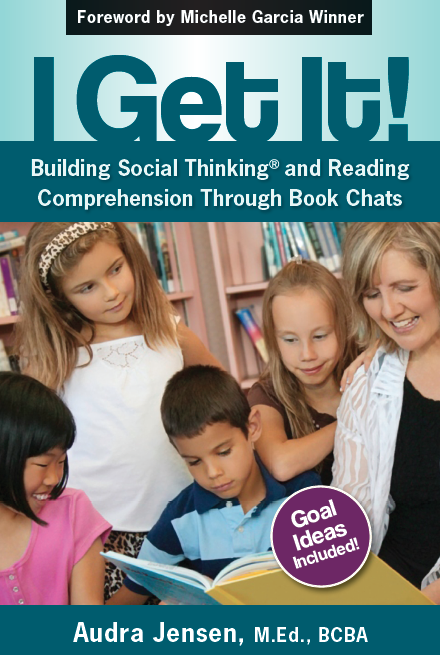 Superflex is part of the larger comprehensive program taught through Social Thinking. Superflex was created to help students understand more about their own flexible and not-so-flexible thinking. We can all relate on some level to imagining what it would be like to be a superhero or how much fun it would be to have superpowers. In teaching the Superflex curriculum, we want students to learn that Superflex is unique to each individual and is active when we’re thinking flexibly. There’s not one gender or ethnicity for Superflex. My Superflex will look like me, yours like you, and a teacher’s Superflex will look like the teacher! In our books and materials, we visually portray Aiden’s Superflex, so he’s male. But Superflex can be tall, short, light-skinned, dark-skinned, male, or female. Superflex Takes on Brain Eater and the Team of Unthinkables – Brain Eater distracts us — Superflex keeps us on track! Superflex Takes on One-Sided Sid, Un-Wonderer and the Team of Unthinkables – One-sided Sid only thinks about himself, Superflex teaches how to think about others. Social Town Citizens Discover 82 New Unthinkables for Superflex® to Outsmart! – Introduces 82 new Unthinkables and 14 new Thinkables. Superflex Superdecks – a card games created to invoke your own superflexible thinking. Thinkables & Unthinkables Double Deck – the ultimate superflexible product to add to your Superflex teaching program. Superflex Unthinkables Poster – The poster serves as a visual reminder to reinforce your lessons about the “Unthinkables” and is perfect for the classroom, the bedroom – anywhere flexible thinking is needed! 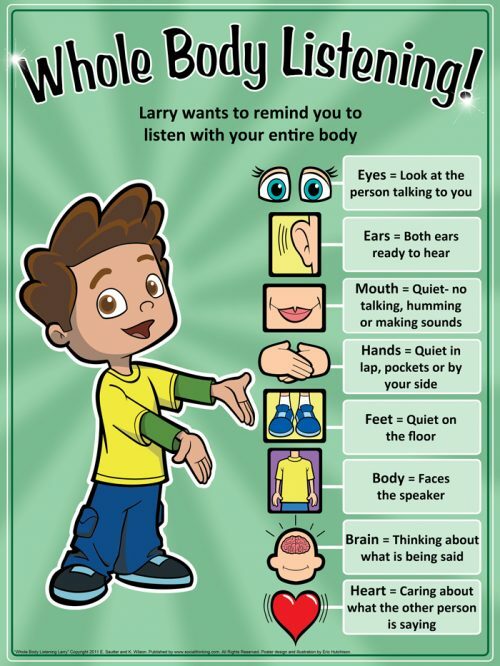 Superflex Thinkables Poster – The poster serves as a visual reminder to reinforce your lessons about the “Thinkables” and is perfect for the classroom, the bedroom – anywhere flexible thinking is needed! Superflex’s Very Cool Five-Step Power Plan poster – a visual tool for those who are teaching Superflex curriculum concepts at a deeper level with 3rd–6th graders. The Five-Step Power Plan and the five Power Pals were first introduced in our book Social Town Citizens Discover 82 New Unthinkables for Superflex to Outsmart!